In a volatile trading session, the benchmark indices ended at record closing highs ahead of the Reserve Bank of India's monetary policy statement due tomorrow. 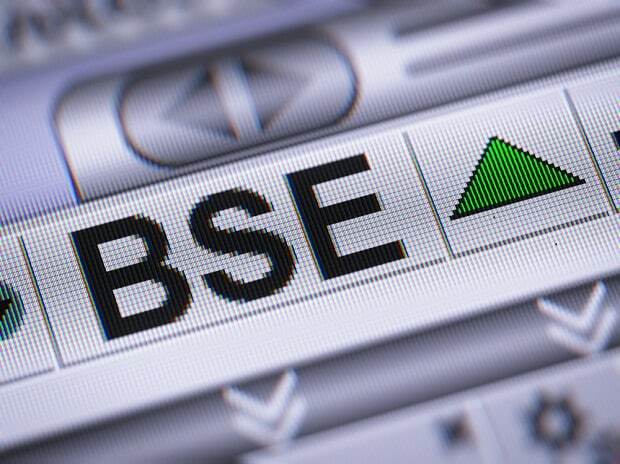 The S&P BSE Sensex ended at 29,974, up 64 points after rising as much as 97 points to 30,007 in intraday trade. The broader Nifty50 hit fresh lifetime high of 9,274 before closing at 9,265, up 27 points. In the broader market, the S&P BSE Midcap and S&P BSE Smallcap indices also logged their fresh closing highs by gaining over 0.4%, and over 1%, respectively. The market breadth, indicating the overall health of the market, was strong with over two gainers against one loser. On the BSE, 1,977 shares rose and 957 shares declined. A total of 137 shares were unchanged. "The Sensex crossed 30,000 mark in intraday trade. This is in line with the overall positive sentiment in the market which has been riding on the passage of GST Bill and the strengthened position of government after the assembly elections. The improved macro-economic numbers such as sharp reduction in current account deficit are resulting in lot of funds flowing into equities- both from domestic and global institutions. The buying interest is not only in large caps but also in mid and small caps, which have actually outperformed the large caps. Going forward, the market would be keenly looking for trends from the March quarter numbers," said Kunj Bansal - Executive Director & CIO – Equity , Centrum Broking. The monetary policy committee of the Reserve Bank of India (RBI) is likely to leave the repo rate at 6.25%, where it has been since October, a Reuters poll found. However, investors are expecting the RBI to announce measures to absorb liquidity that has accumulated post demonetisation. Adani Ports (up 4%) was the top mover on Sensex, while Housing Development Finance Corp (down 2%) was the top loser. Maruti Suzuki India hit a new high of Rs 6,355, up 5% in intra-day trade, making its entry into the list of the top-10 most valuable companies by market capitalisation (m-cap). The stock settled at Rs 6,318, up 4%. Shankara Building Products (SBPL) listed at Rs 555 on the National Stock Exchange (NSE), a 21% premium against its issue price of Rs 460. The stock extended gains to settle 39% higher at Rs 638 against its IPO price. Shares of Titan Company hit a record high after it said consumer sentiment has recovered in January-March quarter and sales were good for all divisions. The stock ended at Rs 491, up 7%. TVS Motor Company rose over 3% to a record high after posting a 10% increase in total vehicle sales for March 2017. Global benchmark Brent crude was trading 50 cents higher at $54.67 a barrel. It reached $54.80 intraday, the highest since March 8. US crude was up 47 cents at $51.50. Caution prevailed across major markets on Wednesday before a potentially tense meeting between US President Donald Trump and his Chinese counterpart Xi Jinping later this week. European markets opened flat as investors eyed fresh economic data from US and renewed promises on financial regulation from US President Donald Trump. The pan-European Stoxx 600 was flat. France's CAC 40 and Britain's FTSE 100 gained 0.2% each. Asian markets ended higher with China's Shanghai Composite gaining over 1%, while Japan's Nikkei and Hong Kong's Hang Seng indices added 0.3%, and 0.5%, respectively.